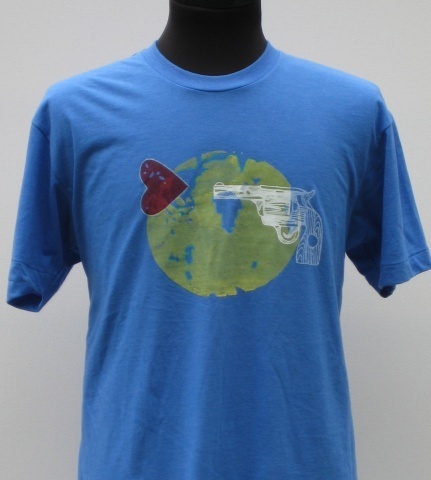 Blue Heartache, American Apparel Tee. Available in Men's Large and Medium. Contains a hand drawn too shea design.